Pope asks Roman Catholics to apologise to gays - BlogIT with OLIVIA!!! Pope Francis has asked the Roman Catholic Church to apologise to gays for the way they are being treated, saying they deserve to be respected. The pontiff said the Church had no right to judge homosexuals and should not be discriminated against. The Pope, who spoke to reporters on his plane on his way from Armenia, also demanded the Church to seek forgiveness from other people it had marginalised, including women, the poor, and children forced into labour. BBC reports that the Pope has been hailed by many in the gay community for his positive attitude towards homosexuals while some conservative Catholics have criticised him for making comments they described as ambiguous about sexual morality. Pope said, “I will repeat what the catechism of the (Roman Catholic) Church says, that they (homosexuals) should not be discriminated against, that they should be respected, accompanied pastorally. “If a person is gay and seeks God and has good will, who am I to judge?” he had said. Meanwhile the Anglican Communinion Church of Nigeria and the Redeemed Christian Church of God have condemned the Pope’s tacit support for homosexuality, saying his call for apology was unfounded. The Anglican Bishop of Remo, Rt. Rev. Michael Fape, said Pope’s call contradicted the Biblical stand on homosexuality and urged that the act should not be explained away in the guise of human rights. He said, “Homosexuality is a biblical issue and it is abominable. It is one of the sins that God clearly enjoins children of Israel not to indulge in. So if anybody is into homosexuality, such a person is doing what is ungodly, unbiblical and what is against the mind of God. 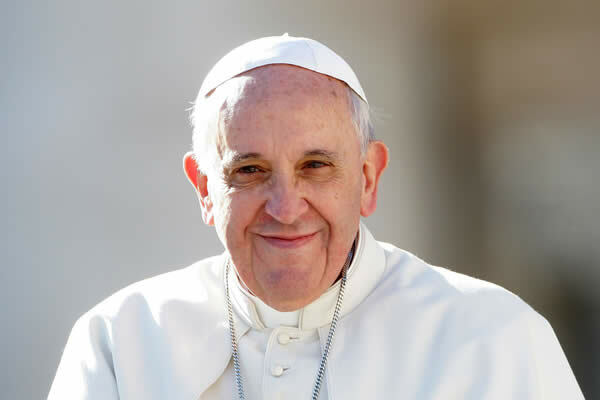 The Head of Media and Public Relations of Redeemed Christian Church of God, Pastor Segun Adegbiji, urged Christians to discard the Pope’s comments, saying the position of God should prevail whenever there were disagreements on scriptural issues. “The RCCG is on the side of the Bible. Whatever the Bible wants the children of God to do is what we do. Anything that is ungodly and unscriptural, the RCCG will never support it. The apostles of the Lord Jesus Christ said when there is confrontational or conflict between what somebody in power is saying and what the Lord is saying, you go on the side of the Lord. We are not on the side of any apology,” Adegbiji said.